Who doesn't love getting text messages? Our program lets you reach out to customers instantly, no matter where they are. When is the last time you left your house without your cell phone? These days, our phones are a big part of our lives. Not only do we use them to connect to friends and family, but we use them to get directions, make purchases, follow current events, surf the Internet, and more. With such a valuable device in the hands of millions, shouldn’t you be using it to help boost your business? With a text message marketing campaign from Prager, we can help you tactfully engage and connect with customers from all over directly and immediately. When someone with a mobile device opts into your text message program, they’ll be added to your marketing list. After that, you’ll be able to send them SMS and MMS messages that include special discount offers, coupon codes, event reminders, website links, photos, and more. You’ll even be able to link your messages to your Facebook and Twitter accounts to reach even more followers. 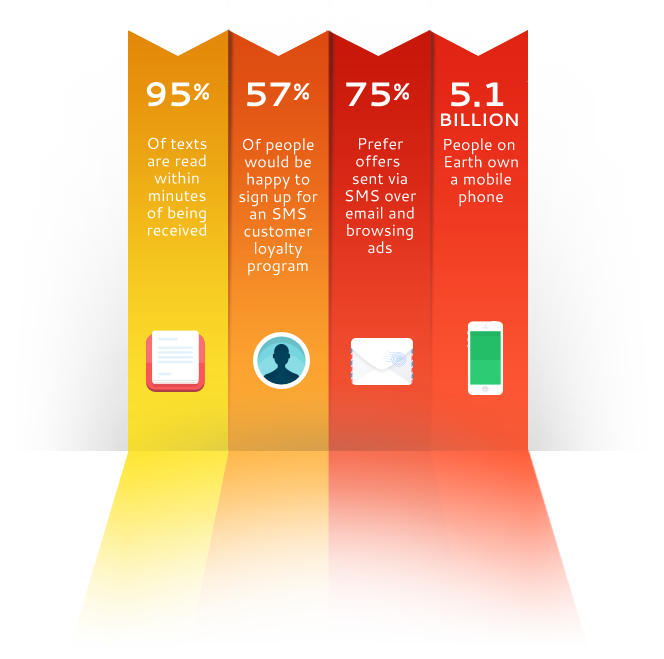 Text message marketing has a high open rate and gives your followers a way to easily opt-in or opt-out at any time. Plus, with our analytics, we can track your customer engagement to help you improve your reach and build a better understanding of the people you’re connecting to. Over 95% of text messages are opened and read within minutes of being received. No other form of marketing is better at reaching your audience.